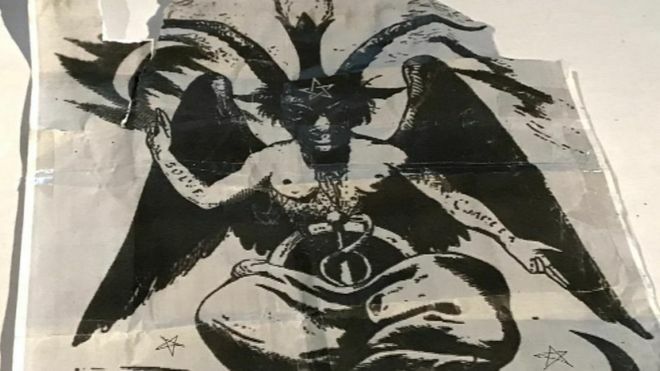 “A teenager arrested after a satanic image was left at the altar of a church has been released on bail. Fires were also lit inside St Mary’s Catholic church, Great Yarmouth, Norfolk, on Tuesday. 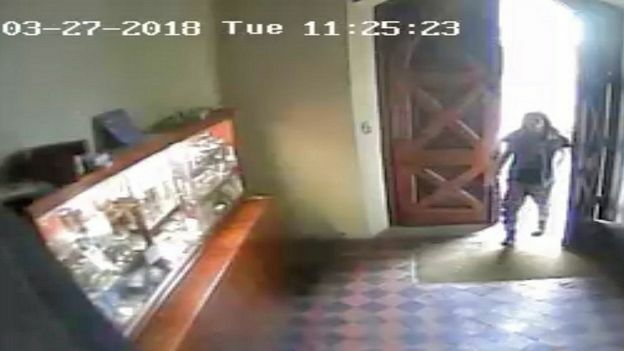 CCTV footage showed a man lighting the fires before trying to burn a sacred icon from the altar and replacing it with a picture of a satanic figure. 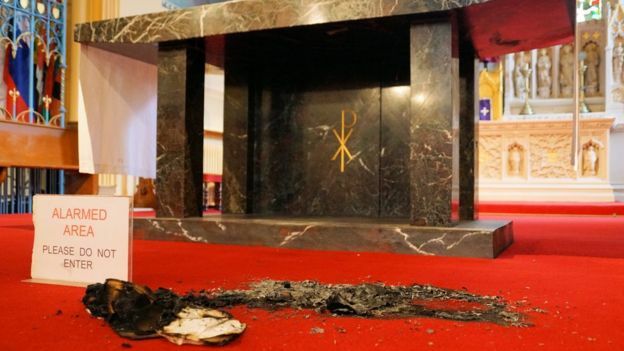 “A Catholic church has been “desecrated” for a second time after a man lit fires and left satanic images at the altar, the diocese said. 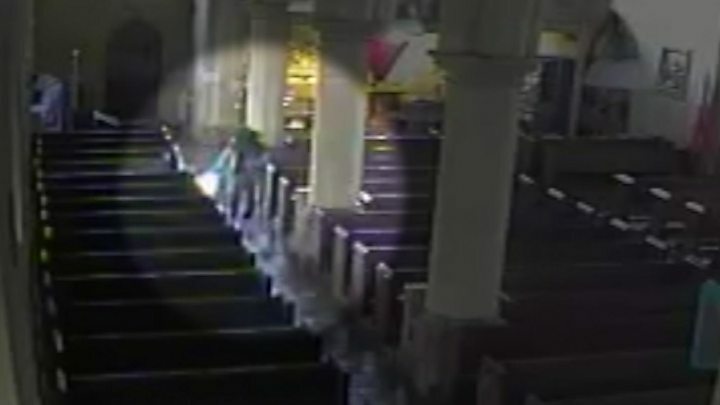 The incident at St Mary’s church, Great Yarmouth, Norfolk, was caught on CCTV. The church said footage showed a man lighting small fires before attempting to burn a sacred icon he took off the altar and put a picture of a satanic figure in its place. Norfolk Police said it was treating it as a religiously aggravated hate crime. 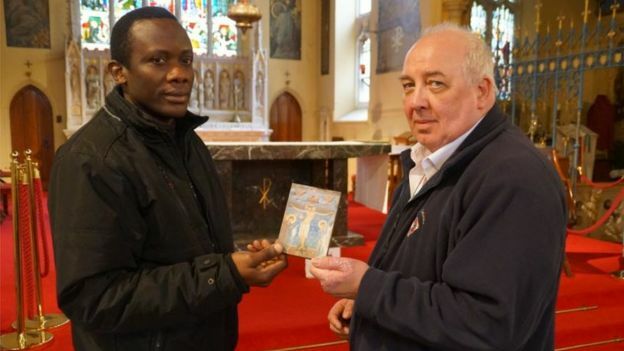 Parish priest Fr Anthony Nwankwo said something similar to Tuesday’s attack happened four months ago when someone came into the church and left a satanic picture at the foot of a cross at the back of the church. Parishioner of 33 years Brian Lafferty said he was appalled. The Roman Catholic Diocese of East Anglia said it intended to keep its churches open despite the religious attack. “I am very saddened by what has happened, especially in Holy Week,” Bishop of East Anglia Alan Hopes said. Investigating officer PC Lewis Gilmore said the CCTV was being examined and the force was appealing for further information.